Confirmed. 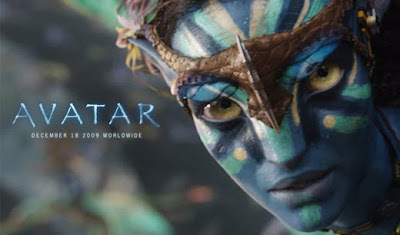 Avatar, a movie about blue people, has a red message. From the Communist Party USA online "paper", Peoples World. Despite differences among the left, the newly formed James Agee Cinema Circle (JACC), a group of film writers, scholars, critics and historians, released their list of Progie Award winners, and named "Avatar" the winner of three awards, Best Progressive Picture, Best Antiwar Film, and Best Depiction of a Mass Popular Uprising or Revolutionary Transformation. Now, there's a category for you! The Progie Awards are given to the best in progressive cinema, and are the creation of Ed Rampell, film critic and author of Progressive Hollywood. The significantly titled awards honor prominent names in progressive film history. They include for example, the (Jean) Renoir for Best Antiwar film, the (Dalton) Trumbo for Best Picture, and the Gillo (Pontecorvo) for the Best Foreign Film. The total of 14 awards that are presented to films and artists, not only parallel some of the Hollywood Oscar categories but occasionally the similar recipients. The Progies give recognition to films that might otherwise be overlooked or not known as having progressive content. Other than "Avatar," the Progie winners matched some of this year's Oscar nominees. "Precious" as Best Picture, "White Ribbon" as Best Anti-Fascist Film, Colin Firth in "A Single Man" as Best Actor and Gabourey Sidibe in "Precious" as Best Actress. Four of the Best Documentary choices are also Oscar nominations, "The Most Dangerous Man in America," "Burma VJ," "Food, Inc.," and "The Cove," which ended up winning the Progie award. Progie winners that were ignored by the Oscars this year include Michael Moore's "Capitalism: A Love Story," that tied with "Amreeka" and "Sunshine Cleaning" for the Most Positive and Inspiring Working Class Screen Image award. The "Baader-Meinhoff Complex," a dramatic examination of the history of the Red Army Faction in 60s and 70s Germany, won the Best Progressive Foreign Film Award. "The Men Who Stare at Goats," a daring and biting satire of the American war machine, won the Best Satire award named after the great Spanish director, Luis Bunuel. Embarrassing that Kiwi Peter Jackson, had a lot to do with this technically brilliant piece of socialist propaganda. so if an organization gives a movie a reward, the movie must promote their ideals? There's nothing more appetizing than a Smurf or the Tidy-bowl cleaner. C'mon Trev.....you losing your bottle there boy ? A "connection" between Peter Jackson and the baddies. For far less I've seen you yell "Commie Commie !" Like Helen Clark's salad lunch in Kingsland with a Chinese person over 50. So then.....when ya gonna denounce Peter.....Trev ?